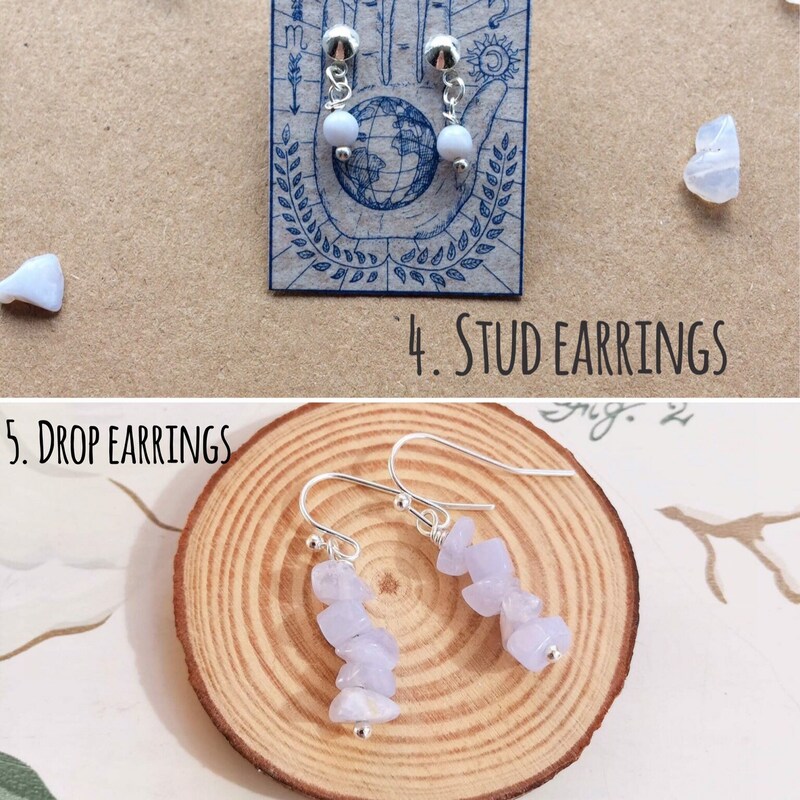 Healing Gemstones - Blue Lace Agate - Part of my crystal healing series. 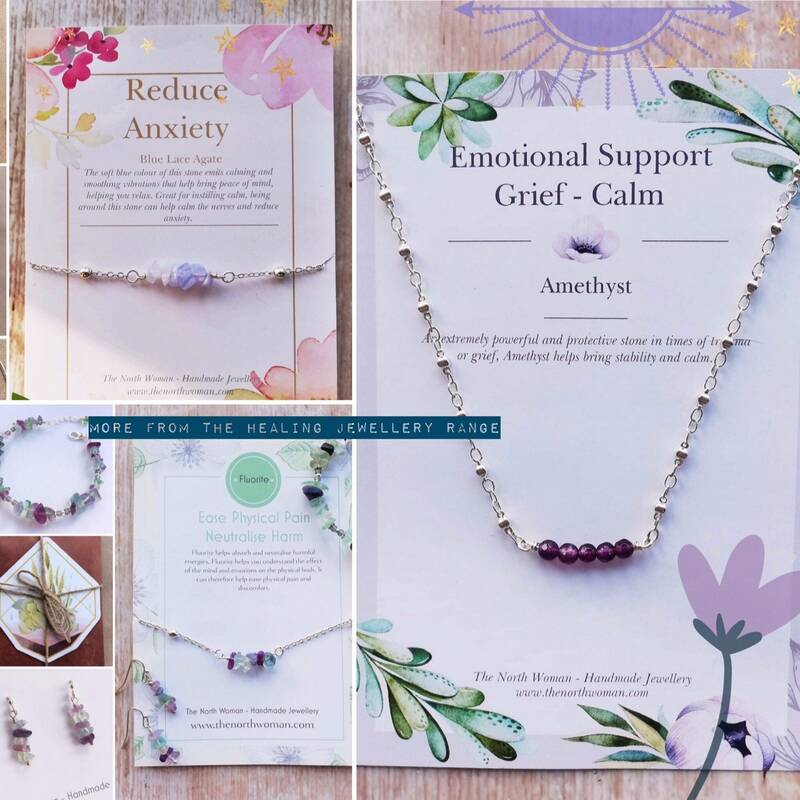 This range includes 3 bracelets, 2 pairs of earrings and 2 necklaces. They are numbered in the pictures and you can select as many as you like. Discounted postage is offered automatically for multiple purchases. They make a perfect gift and come with the hand-finished gift card as pictured. 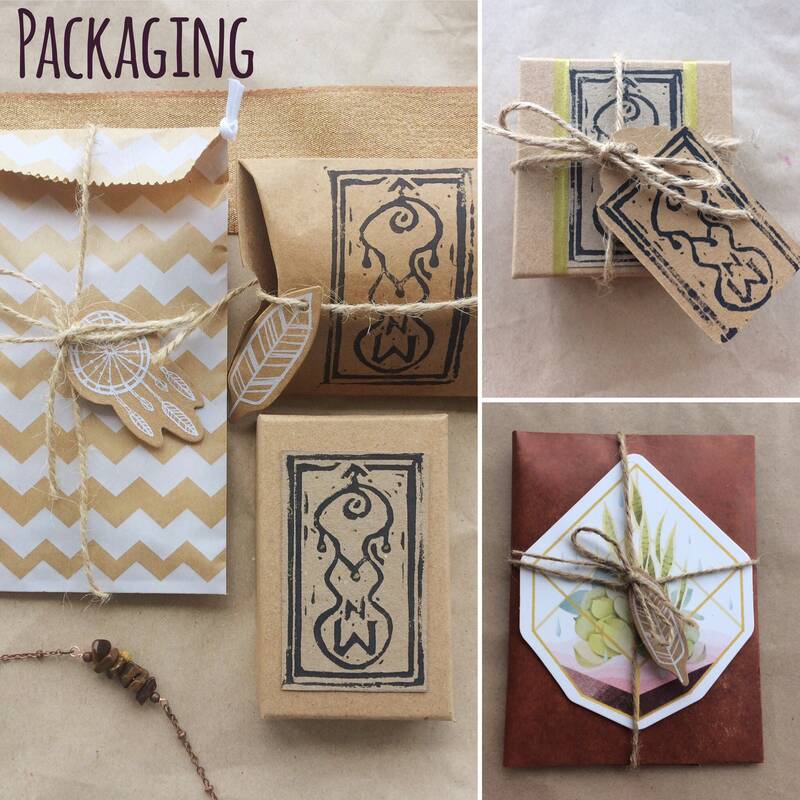 They are presented in a organza gift bag or lino printed packaging as shown. Gift wrapping is also available and I am happy to include custom messages. 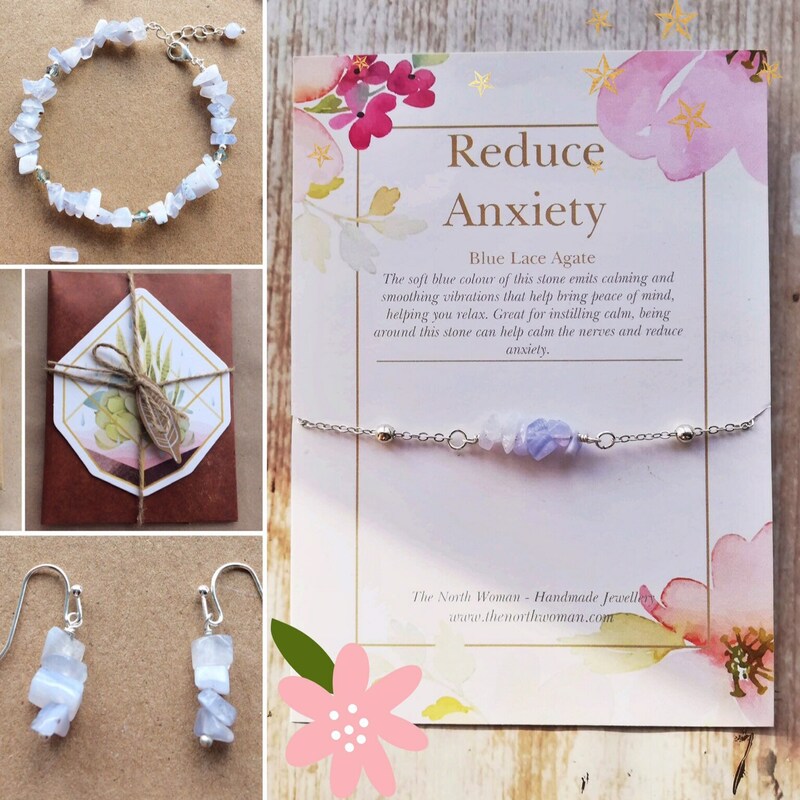 Blue lace agate - The soft blue colour of this stone emits calming and soothing vibrations that help bring peace of mind, helping you relax. 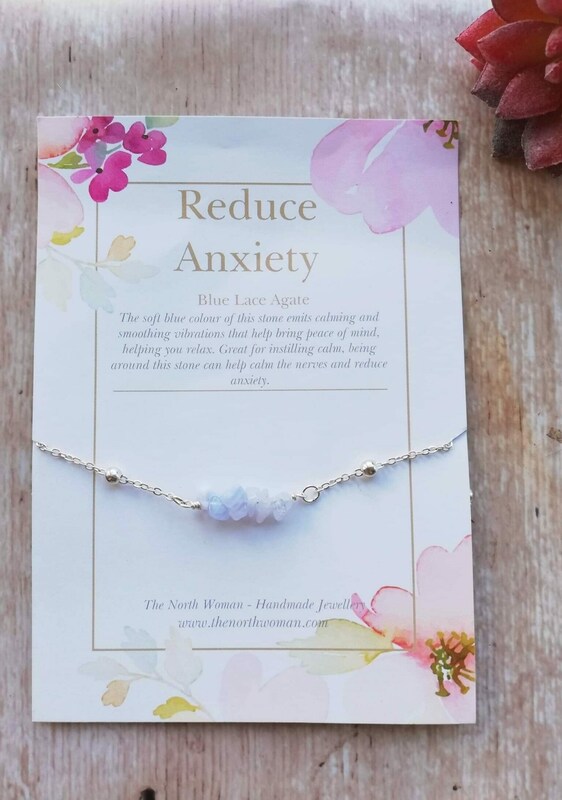 Being around this stone can help calm the nerves and reduce anxiety. Bracelet 1: Gemstone bracelet - Adjustable fit from 18-19cm (7-7.4") filled with blue lace agate tumbled chip beads. It fastens with a silver plated lobster claw clasp. The agate is matched with iridescent blue beads. 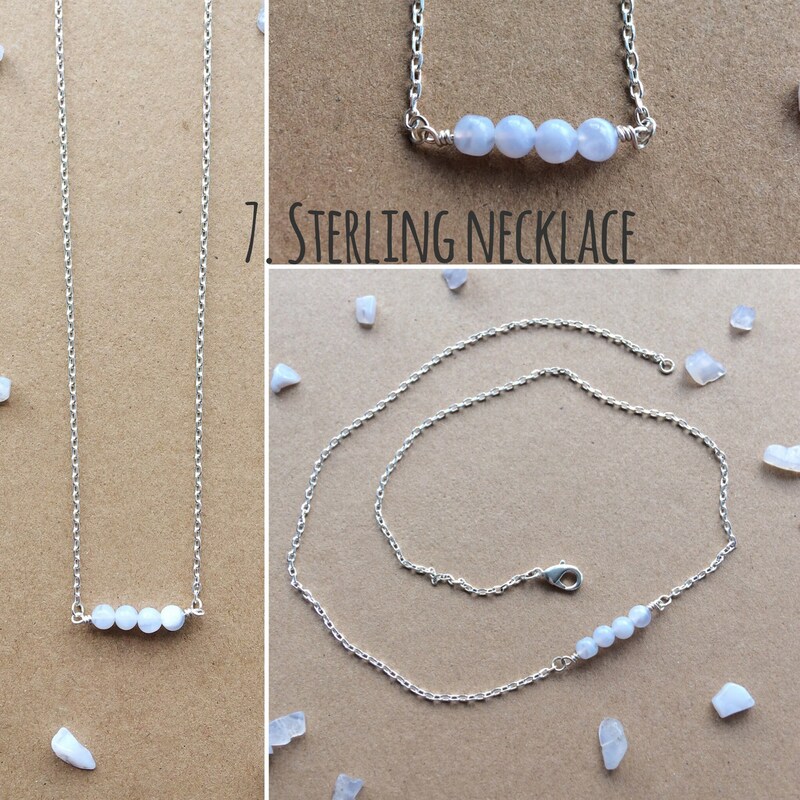 The extender chain is 2cm long and is finished with a matching 4mm blue lace agate bead. Bracelet 2: Silver chain - Adjustable fit from 18-20cm (7"-8") with three 4mm agte beads on silver plated chain. The chain is decorated with silver beads and finished with a lobster clasp. Adjustable fit with extender chain which has a matching bead. 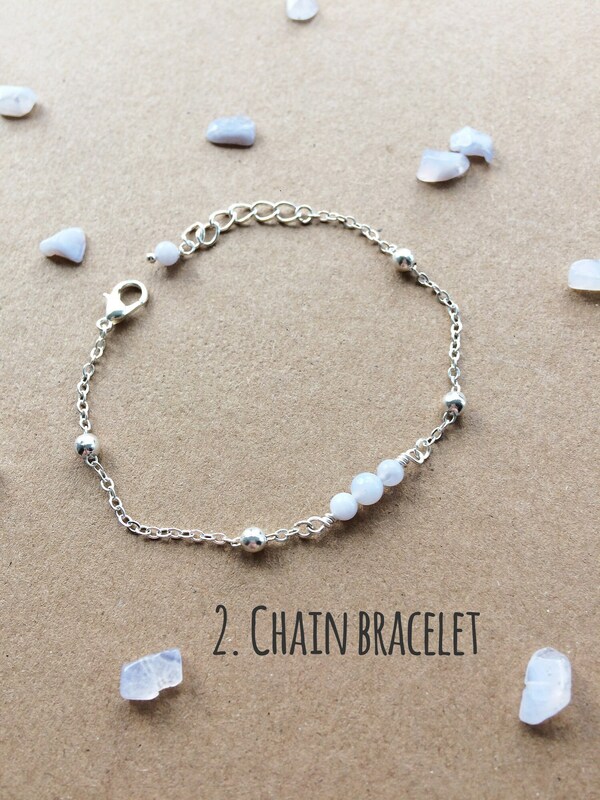 A dainty, pretty, delicate design. 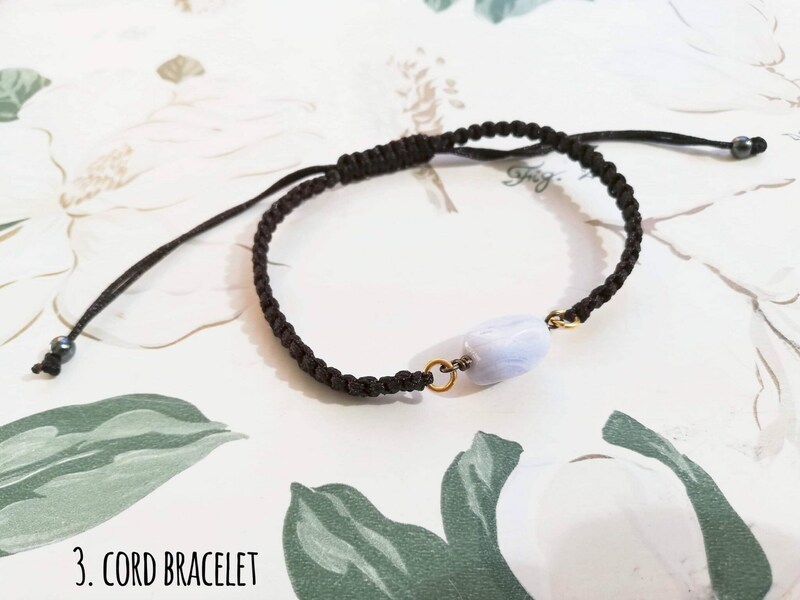 Bracelet 3: Cord - Adjustable fit from 14cm. This unisex design uses adjustable nylon cord in a dark brown colour, about 4~6mm wide from 14cm long. This is adjustable by pulling on the strings, from a average ladies size to generous man's fit, each cord is finished with hematite beads. 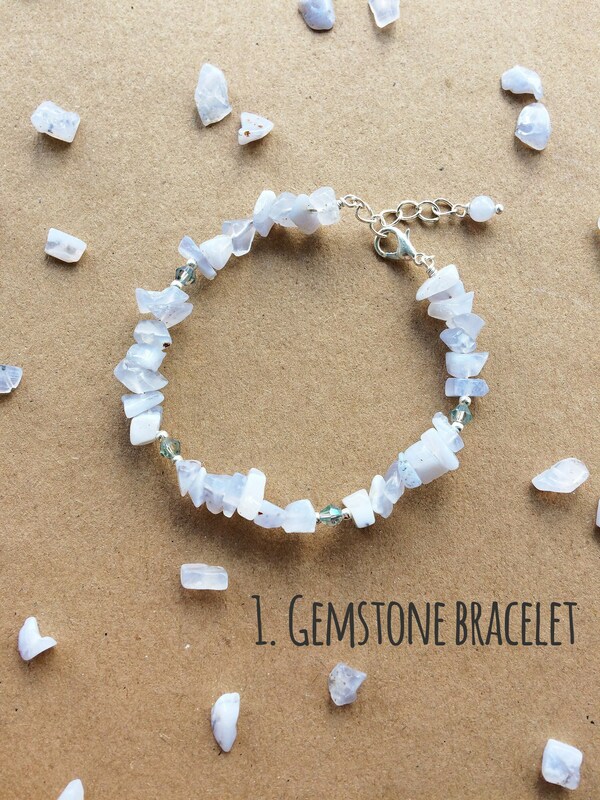 The bracelet features three 4mm blue lace agate beads. 4. Bead Stud Earrings - 4mm agate beads on silver plated post stud earrings. 5. Chip Drop Earrings - Agate gemstone chip beads on silver plated ear wires.Approx 3cm drop length. 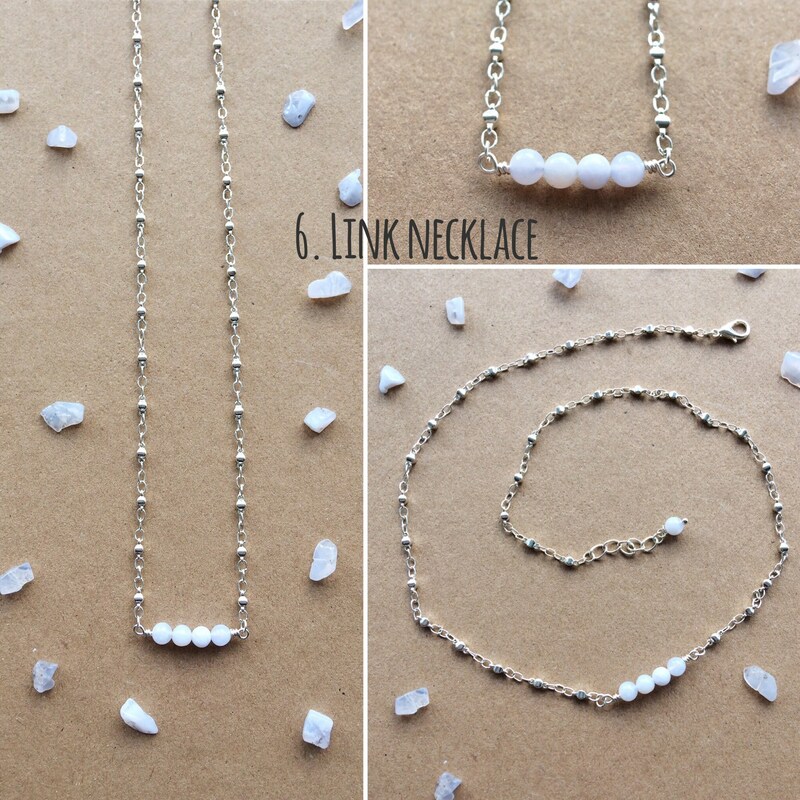 Necklace 6 - 4 4mm agate beads on silver plated link chain necklace. Adjustable from 46-51cm. Necklace 7 - 4 4mm agate beads on sterling silver chain. Adjustable from 38-43cm. I was expecting them to be a little bigger, however I love dainty jewellery anyway. Beautiful pair of earrings. Nicely packaged and it smells wonderful! Beautiful bracelet. Thank you!